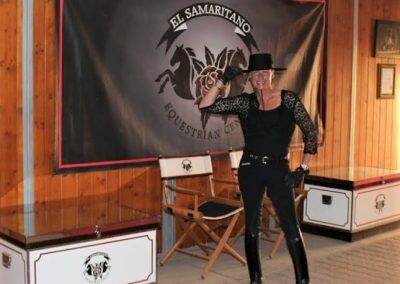 El Samaritano Equestrian Center is located in the beautiful Sonoran Desert on 15 acres with gorgeous views of Pinnacle Peak and the Saguaro Cacti. 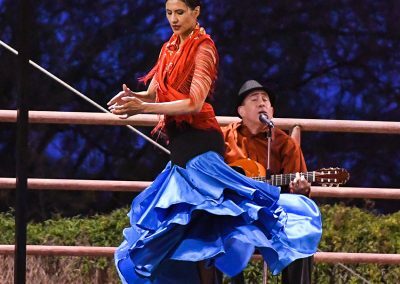 The desert setting and atmosphere makes it a perfect getaway in North Scottsdale, Arizona to witness and view the majestic Andalusian Horses imported from Spain. 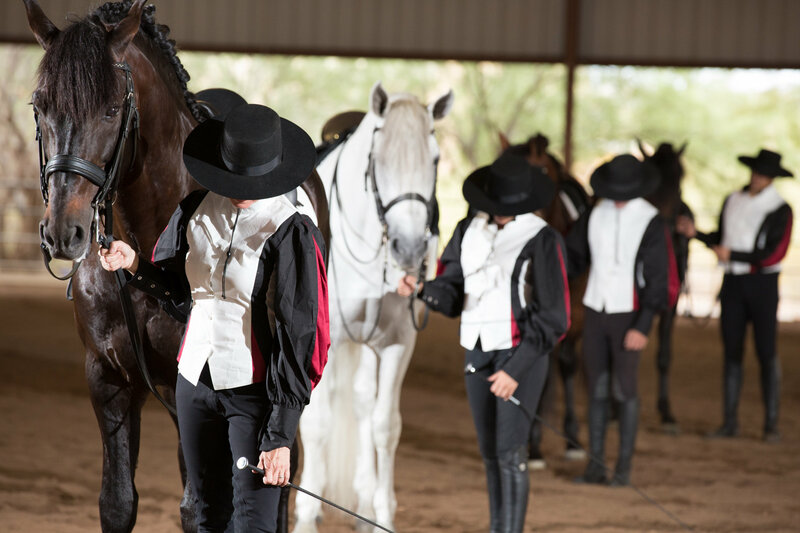 Nestled away in the picturesque scenery, this venue and performance stirs the imagination and creates a fascination for those who love to experience these magnificent dancing horses. The horses are trained and ridden by some of the best trainers in the state, and it shows in their superior performances. 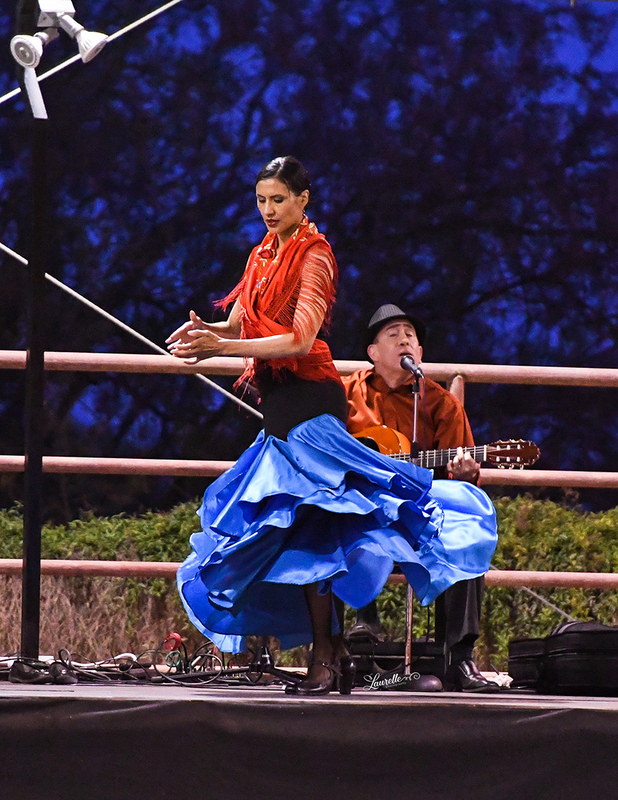 The Royal Andalusian Riding School presents “ A Taste Of Andalucia” a spectacular of Flamenco music and dancing horses in a show bringing the culture of Spain to its audience. 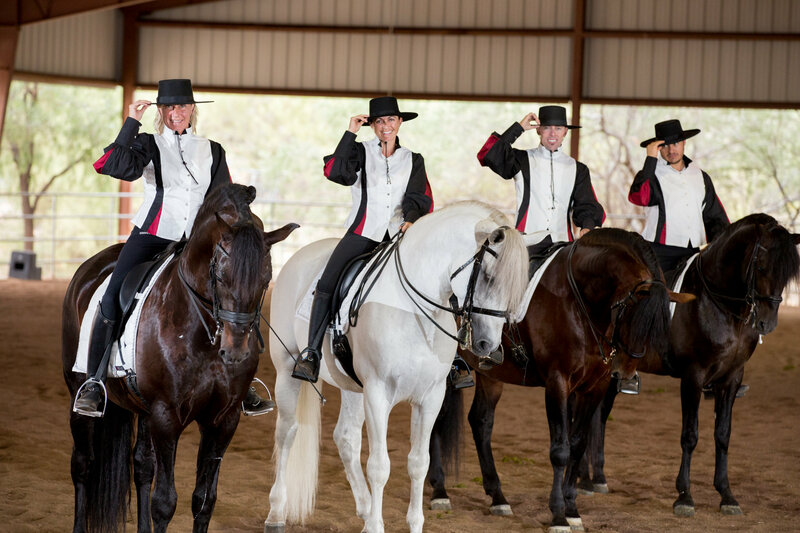 The Royal Andalusian Riding School provides this entertaining show to the public as well as private venues, for a captivating and unforgettable experience. This unique Venue can also be booked through private event coordinators, to make it a top and memorable destination for any private audience. Visit www.RoyalAndalusianRidingSchool.com for more Information. The Andalusian horse, known as the Pure Spanish Horse or Pura Raza Espanola, is a horse known through the centuries as the “Horse of Kings”. It is considered the most beautiful, athletic, and noble of all horses and has made its name through history from war horse, to the horse of kings and royals, and now to the equitation and dressage world of today. 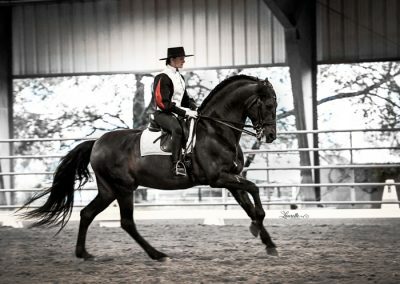 The Andalusian horses are also known in the performance world as the dancing horses. 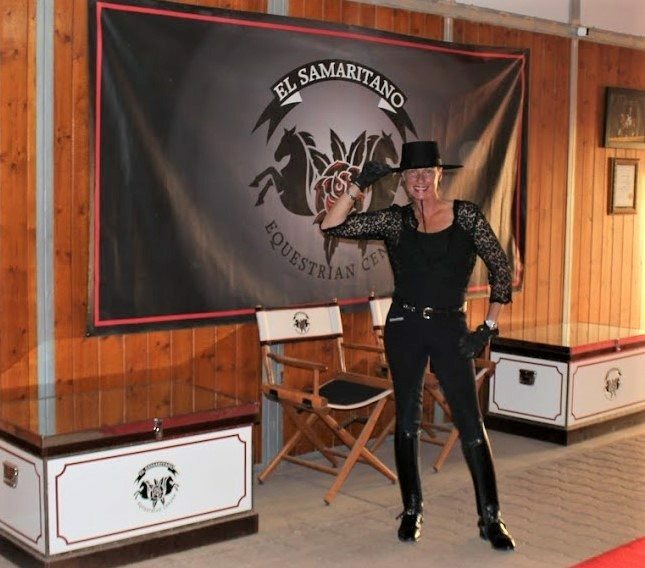 El Samaritano Equestrian Center is home to the Royal Andalusian Riding School. It is here you may witness the beauty of these majestic horses and experience their presence in the show ring. 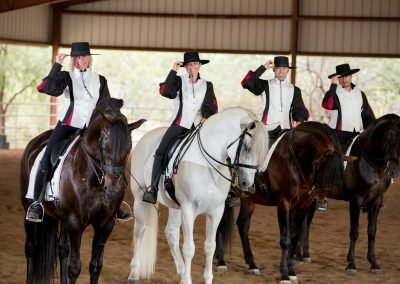 The Andalusians are shown in hand, as well as ridden in a series of demonstrations to music to bring the taste of Spain and these majestic Spanish horses to public view. 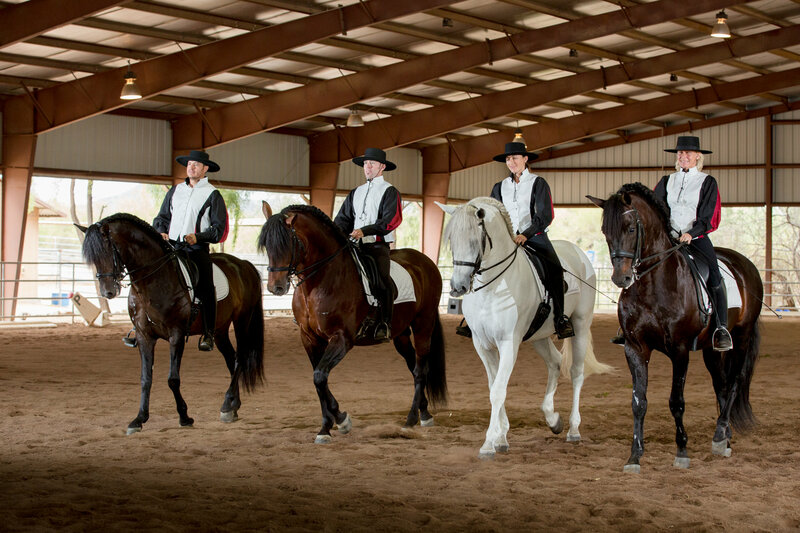 The Royal Andalusian Riding School provides an entertaining show to the public, promoting the Andalusian horses as a world class horse, and gives lessons to advanced riders to experience this horse like no other. 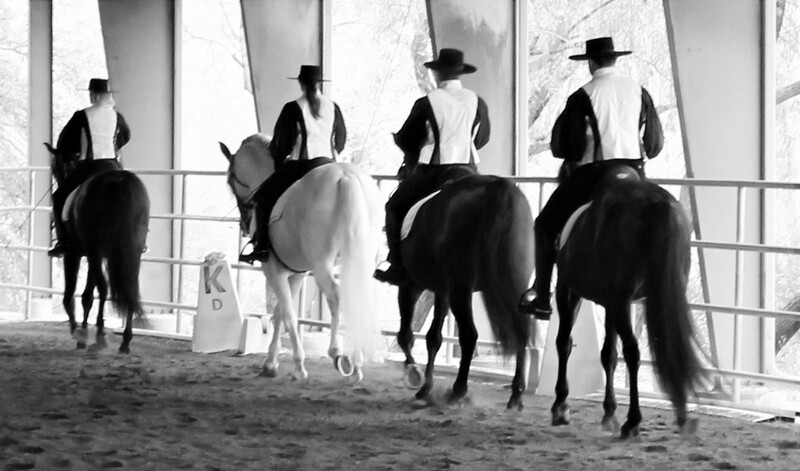 Visit www.royalandalusianridingschool.com for more information. Meet our Andalusians…. Exceptional work ethic from PSG to Grand Prix.